Yucaipa Trailers is proud to be America’s best source for motorcycle trailers for sale and have proudly served the nation for over 25 years and counting. They take their job seriously and are known for their strong commitment to customer satisfaction and bringing you the best financing options around. 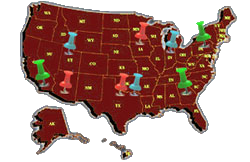 Yucaipa Trailers serves entire continental US and has multiple pickup and drop-off locations across the country for your convenience. With their new website you can browse their online inventory and sign up for their completely 100% free newsletter which will get you access to special offers, inventory updates and exclusive financing options. If you own a motorcycle you probably understand how important it is to have a reliable trailer to transport it when you’re going on long trips or traveling to special events. Yucaipa Trailers understands this and provides you with nothing less than the ultimate quality motorcycle trailers that America has come to know and love. Yucaipa Trailers also understands that honest hard-working men and women deserve prices that are affordable. You contact them over the phone or using their online messenger for free quote and usually are approved for financing in 15 min. or less. With financing options such as less than $100 payments per month and zero dollar down payments you can’t go wrong Yucaipa Trailers.